Dishwashers are a convenient and quick way of handling a dirty task. 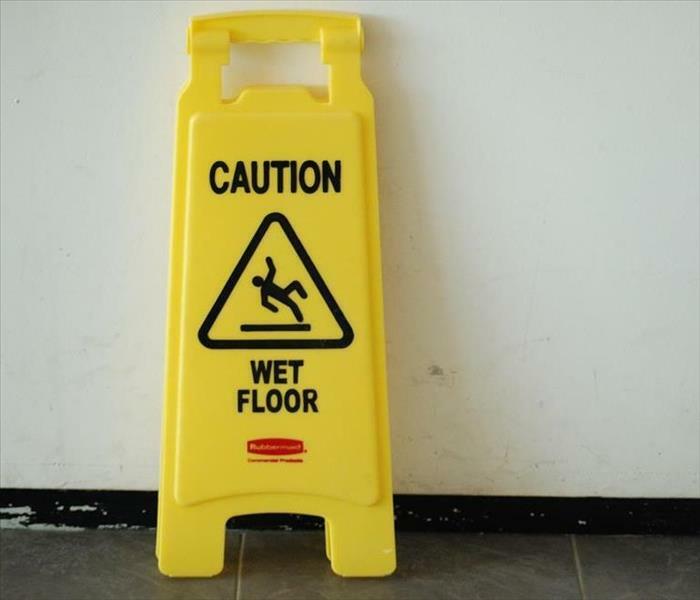 As much as they may be appreciated, they can cause some unexpected problems such as a leak in the middle of the night. 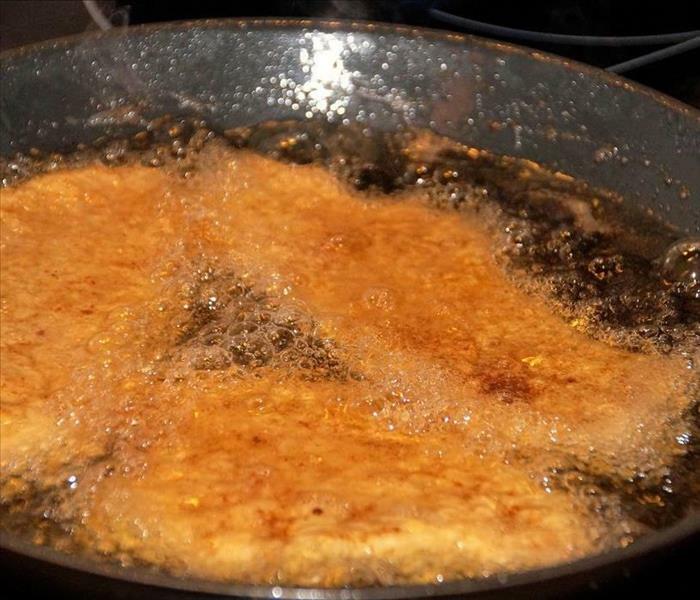 This could leave your New Bern, NC business or house in dire need of water extraction and clean up that may be beyond your means of handling. 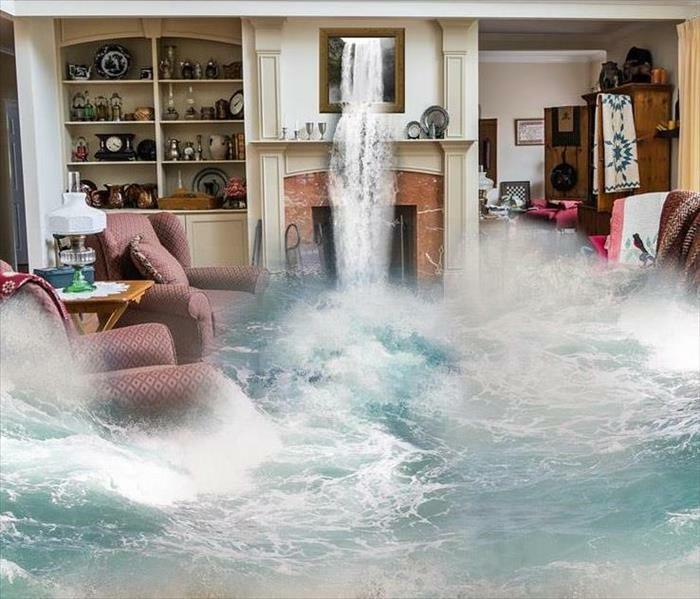 The water damage remediation experts at your locally owned and operated SERVPRO® are more than equipped to handle such a situation. Our crews are also equipped with advanced tools to determine where moisture is present and subsequently remove it. One of these tools—an extractor—can simultaneously remove water while also applying heat to help dry the space it is extracting water from. We also have pumps if there is larger pools of water, and of course, the materials we need to cleanse and sanitize any affected areas. 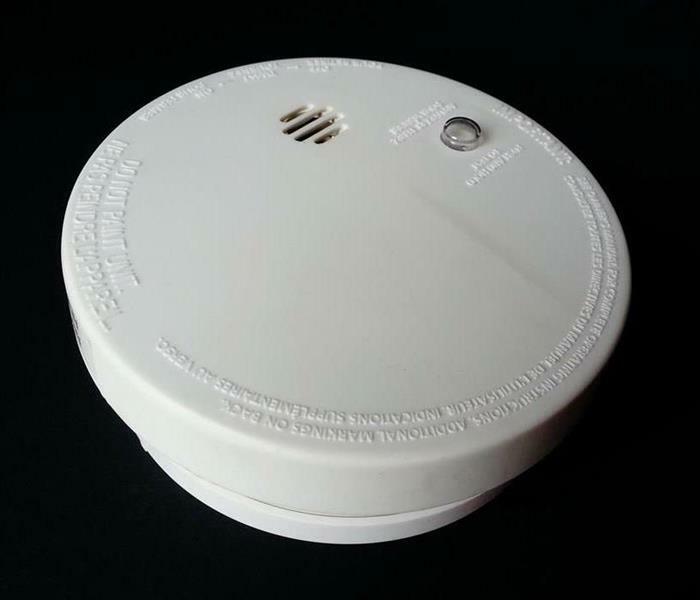 Ionization smoke alarms are the best at detecting hot, fast-moving fires, whereas photoelectric smoke alarms are best at detecting slow-burning smoky fires. If a fire alarm equipped with both technologies is available, strongly consider opting for it. If not, using a mixture of the two throughout your New Bern, NC home should work nearly as well. Of course, there is always a chance that even with the best preparation, unforeseen circumstances can happen. 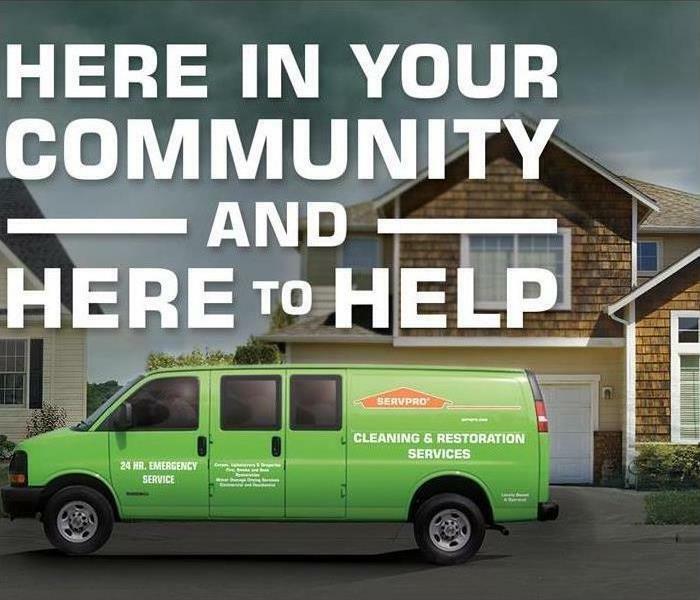 Just remember, if you or someone you know is in need of professional cleanup or restoration services, our 24/7 emergency crews here at SERVPRO® of Craven/Pamlico Counties are #HereToHelp. For questions or information, give us a call at: (252) 637-7274. Your locally owned and operated SERVPRO of Craven/Pamlico Counties are available 24 hours a day for fire and water emergencies. If you have suffered from water damage, our crews can get to you fast to take care of the situation. This fast response is important, since just a few hours can make a huge difference. Dealing with an emergency can be a stressful, frustrating, and emotional experience. We here at SERVPRO understand this, and are here for you throughout the process. If you need experts that are compassionate as well as capable, call us at: (252) 637-7274. For more information, please call us at: (252) 637-7274, or visit us at our website. New Bern, NC Residents, is Your Business Prepared for an Emergency? If you find yourself wondering what to do after a fire occurs, getting in contact with the available 24/7 experts here at SERVPRO (252) 637-7274 can help you quickly get on the path of restoring your home. Time can be of the essence in such situations, as often times the heat from a fire can damage your home’s structure, leading to further damage from exposure to outside elements. 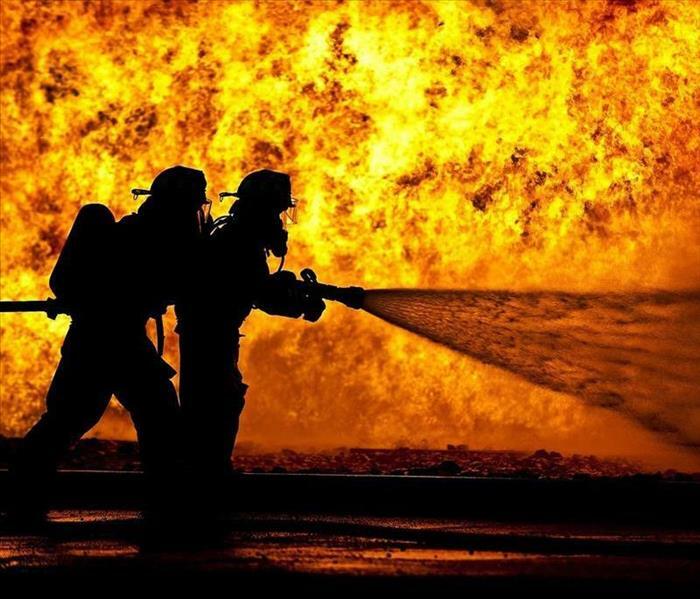 Firefighting methods can also cause water damage—thankfully we here at SERVPRO are more than ready and equipped to help. Depending on the level of damage, there are several steps we take to get you back in your home. The first thing we do is come and evaluate to see what areas need what services. Typically, firefighting methods can leave extensive water damage, which we are also well equipped to handle. We can then begin removing any materials which have been damaged beyond repair. This can be walls, ceilings, flooring, personal goods and more—we do it all! 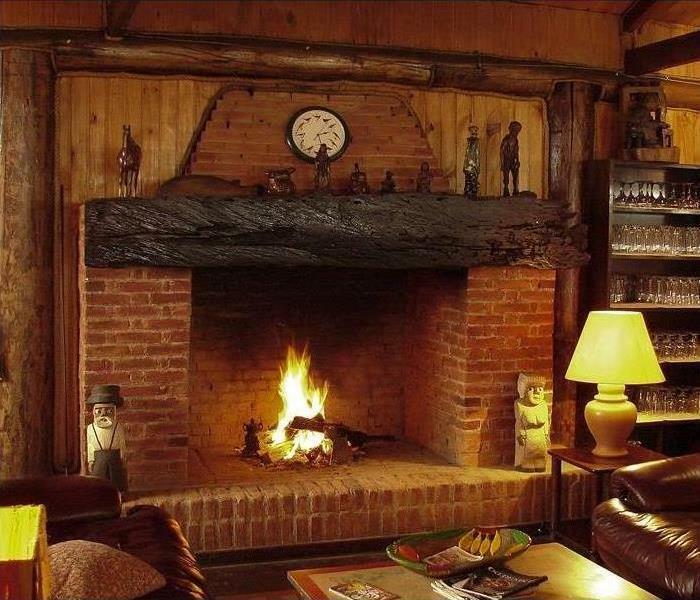 After that, we can begin cleaning your home and items to remove stubborn soot stains and the persistent scent of smoke. 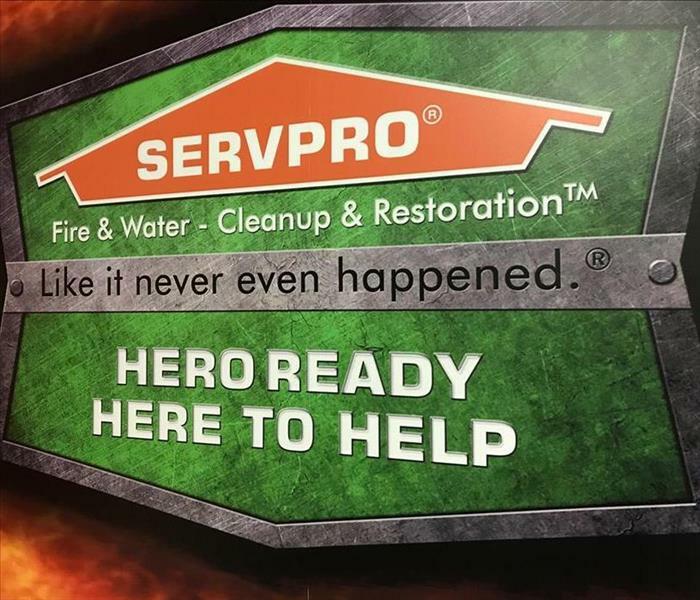 The professional restoration services available at your locally owned SERVPRO® of Craven/Pamlico counties are available 24 hours a day, seven days a week if you or someone you know is in need of expert Fire & Water – Cleanup & Restoration™ services. From a leaking roof to a dishwasher gone awry, water damage can occur in nearly any home, at any time. While we can try our best to prepare for these potential hazards, sometimes damage is inevitable. Unfortunately, depending on the source of the water, this can often lead to our most precious items—the things that make our house a home—becoming damaged. That's where we here at SERVPRO come in. We are well-equipped and ready to help in any situation, including getting those sentimental items back in the best possible shape. Nearly one out of every four Christmas tree fires is caused by being located too close to a heat source. This can dry your tree out and raise the chances of a fire as well as increase the intensity if one does occur. Regularly watering your live tree is another important step that will not only make for a safer home, but keep your tree healthy and green. It can also make cleaning up after the holidays much easier than that of a dried out tree, which sheds pine needles significantly faster. 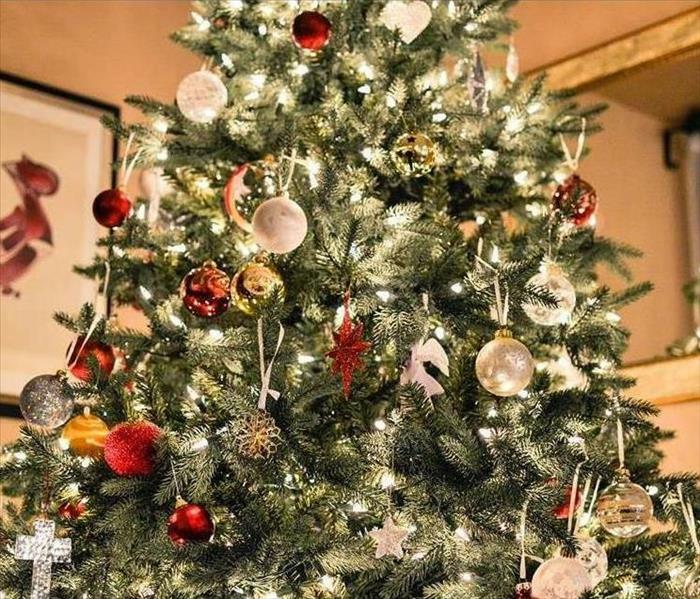 A further one in four Christmas tree fires is caused by electrical issues. Be sure to use proper lights that are rated for your intended application. Be especially mindful if decorating outside that you use outdoor-rated lights! Keeping a fire-extinguisher nearby is another consideration, just be sure to review how to properly use one with everyone in your home. And remember, if you ever have doubts in an emergency situation, evacuate and dial 911! 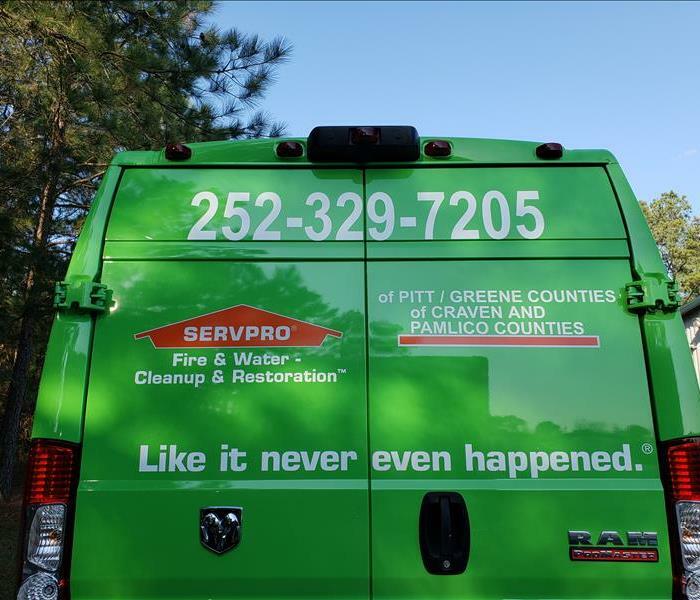 Of course, the professional crews here at your locally owned SERVPRO® of Pitt/Green & Craven/Pamlico counties are available 24 hours a day if you or someone you know is in need of expert Fire & Water – Cleanup & Restoration™ services. 1/14/2019 - New Bern, NC Residents, is Your Business Prepared for an Emergency?